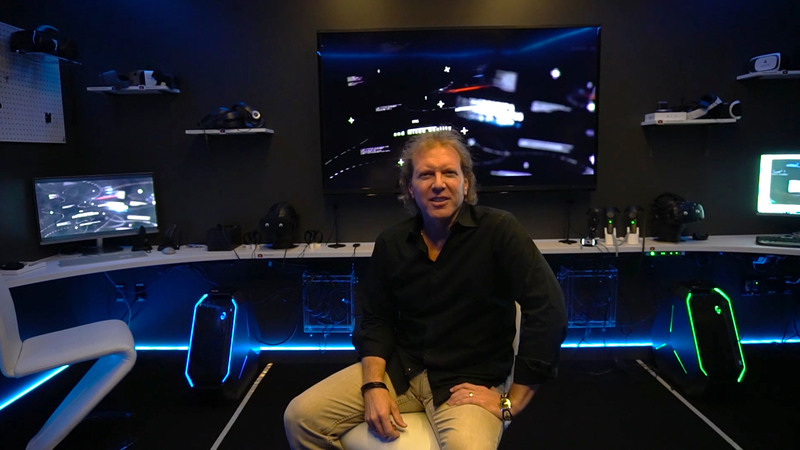 Mike Pell is a Mixed Reality Envisioneer; within that, he leads the worldwide design effort for The Garage, Microsoft’s outlet for experimental projects. 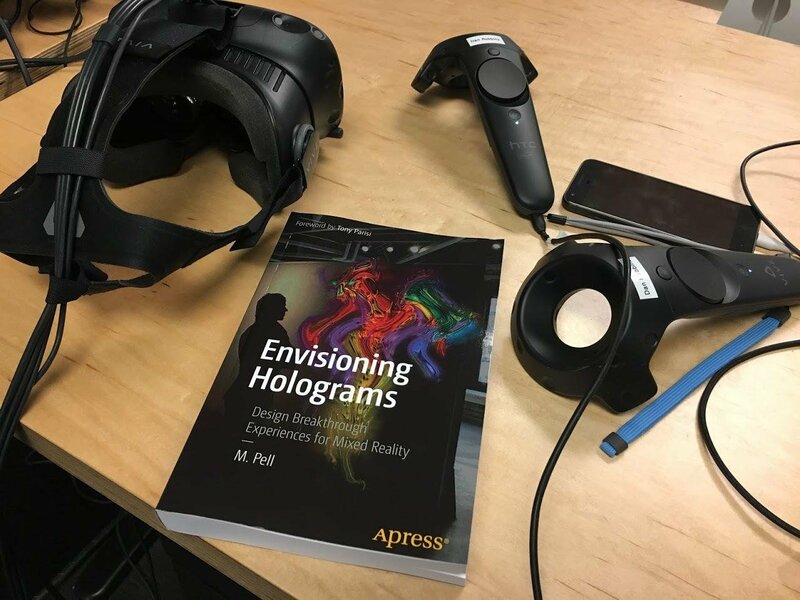 Alongside his role at Microsoft, Pell has recently released his first book entitled ‘Envisioning Holograms – Designing Breakthrough Experiences for Mixed Reality’ – which as I inform Mike on the telephone, has received rave reviews. The Garage is a global program at Microsoft helping employees and interns who are passionate about learning different things they might not normally get exposed to. I design many different types of things in my work – experiences, software, events, or even spaces. The Garage Reality Rooms are spaces where people can learn about the latest in AR and VR. If you’re in one of our internship programs or an employee, you are welcome anytime to come and explore and hack in this new realm. Also, it is not only about Microsoft technology, we have headsets and just about everything else that you might think of from all the leading manufacturers there, too. It’s been a lot of fun to design and build out. There are five of those spaces in Garages around the world now. 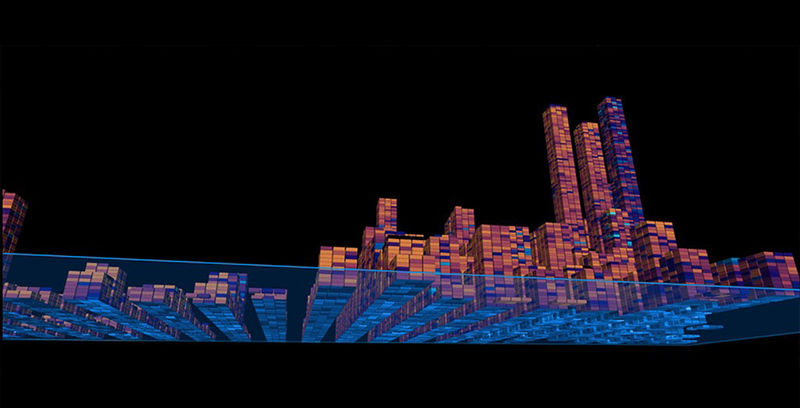 VR takes a lot of room, so we had to find innovative ways to make smaller spaces work – it’s been a fun challenge. Since I didn’t want to live in an all green room, we took a really interesting approach where you can drop green screens down from the ceiling at the touch of a button for video compositing work. Being a designer, I thought I would just share some of my observations and things I learned from trying and failing in The Reality Rooms while trying out different things. Lets’ talk about your work in the immersive world: what are your current challenges? Imagining what is possible is always great, but seeing the visions of others even better. The technology we use today however, is falling a little short. Everything that is happening in the VR space is still very much at the beginning, so the challenge is bringing these visions to life using the technologies we have today, making it compelling, and not putting people off. Give us your predications on where the space will be 20 years from now? I think certainly by that time Artificial Intelligence (AI) will be very common. I believe it will be integrated into more public spaces by then, just as it is in your phone today. The optics used to display holograms in the real world will be amazing by that time. It will be a very commonplace to see these holograms out in the spaces where we live, work and play. It will transform people also, and some might get sick of it and want to go back to simpler time. We’ll see. Heading back to the present, how easy is the current sell in to brands? There are people [brands] who immediately see the potential, so they jump into the technology and are very comfortable if everything goes smoothly. Then there are also many who are interested to try out the experience, and for some reason are not comfortable; they don’t like wearing a headset, and it feel like a burden and imposing, it’s just not inviting to some. There is the designing part and then the consumption part, even on the creation part, the people that are doing traditional ‘creation’ are not necessarily going to get this right straight away. When they go to space design, even though we all live in a three dimensional world, we now have to shift our mind set for designing on a screen to the world around us – and that is not something that is easy for everyone around us. We’re still at the very beginning of everything with AR and VR, so the challenge is bringing these visions to life using the technologies we have today. What’s going to be the light bulb moment that encourages brands to place their advertising budgets into immersive media? The big switch will be when we get good at the social aspect of this whole thing. 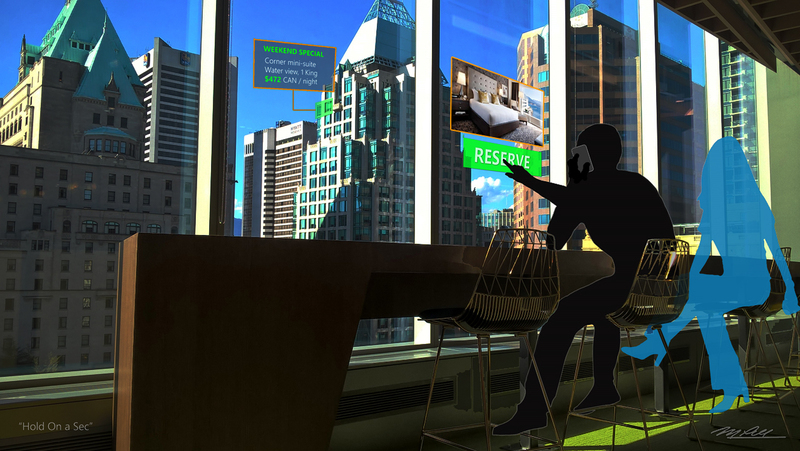 Just imagine you’re working, wearing your Apple glasses and talking to someone, and now they are a full-sized hologram instead of a person in a little window. It’s that kind of engagement with people that will drive the excitement and interest not just that you can do something better by yourself. For the Garage, we gather projects from around the world to try out as experiments. They can be done by individuals or small teams wanting to learn something new in a small scale way. That keeps us very busy because there are always new ideas and things to try out. Related article: NERD – New England Research and Development; the Microsoft Garage Boston opened on the 26th April.